Today I’ll teach you how to create cool textured brushes. 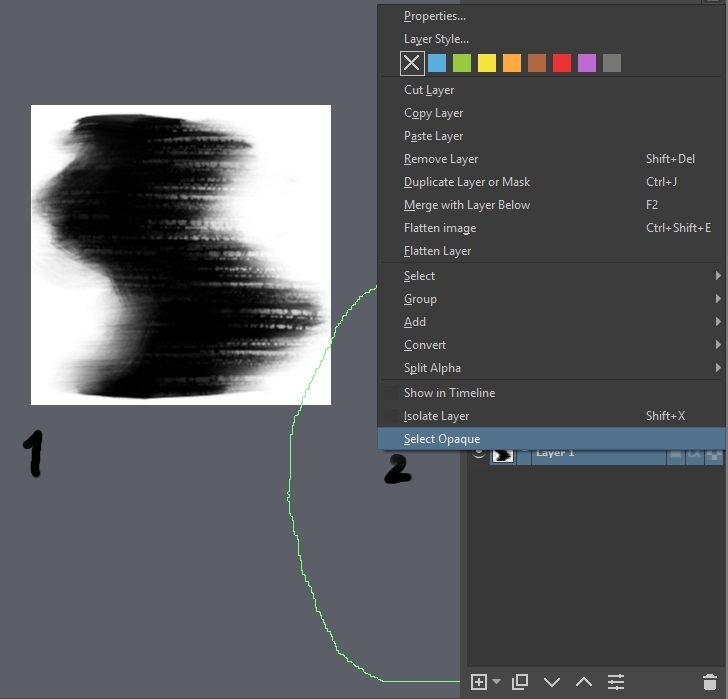 If you want something similar to photoshop double brushes this is right thing. I think it’s good alternative to textures. Forum limitations don’t let me insert full size pictures so I’ll use links. 1. Create new file with size of your tip (I use 300x300px) and delete background. 3. Hide this layer and create 5-10 new layers. 5. Now let’s create new animated brush tip. Press +Stamp and choose style:Animated and mode:Random (but you can choose another of course). It use all visible layers and create tips from them. Don’t use auto spacing and don’t start with “finale name” you’ll need some tries to make it totally right. Also +Stamp option isn’t very stable, it may create empty tip or use wrong mode, be aware. Picture, tested brush on the left. 6. We have a tip, but not preset. For rectangular tips, I advise you to use Mirror – Fuzzy Dab, it will add more variety. For round tips you can also use Rotation – Fuzzy Dab. Also you can play with Spacing curve to make sort of dynamic density, I use it this way to make thick strokes with high pressure. 7. 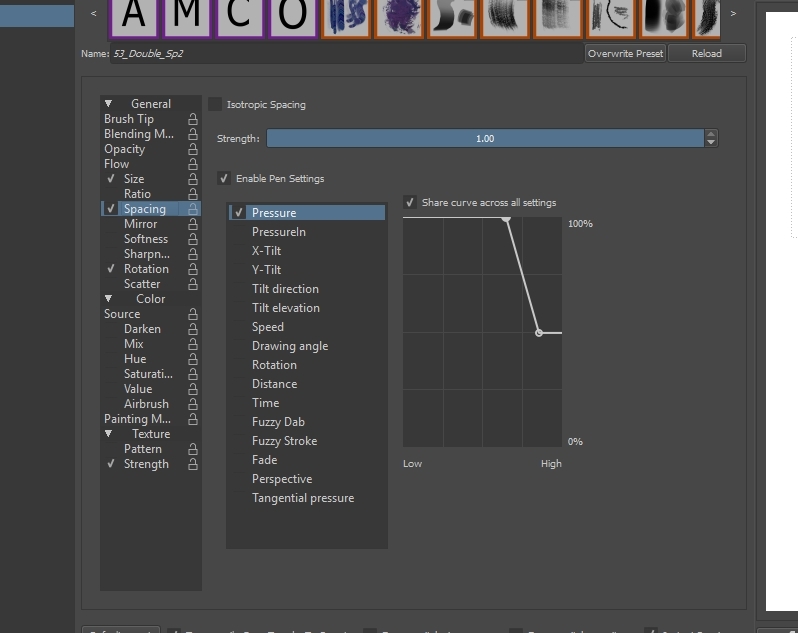 Don’t forget about filters, sometimes I use Unsharp mask, Blur or Color Adjustment Curves. Color Adjustment Curves is very useful if you choose Alpha channel (and just useful in general). Wow! Thanks mate! 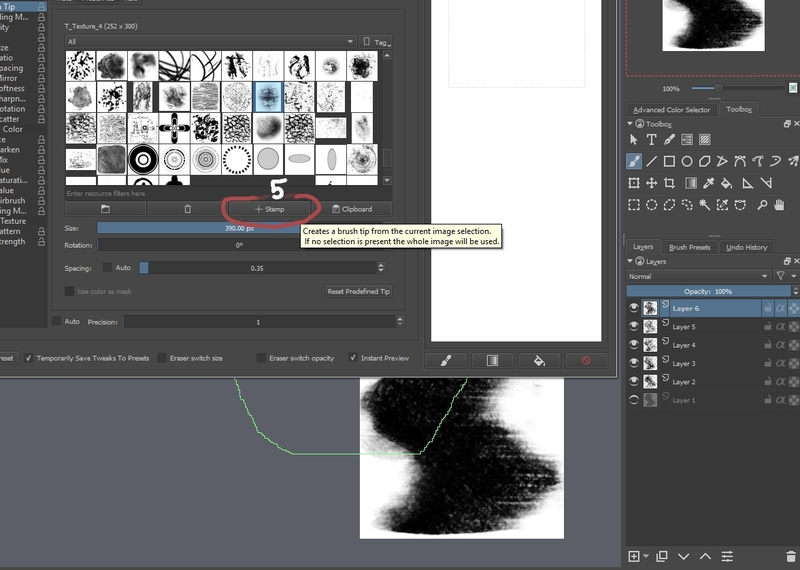 I always thought animated brushes have more to them than meets the eye. 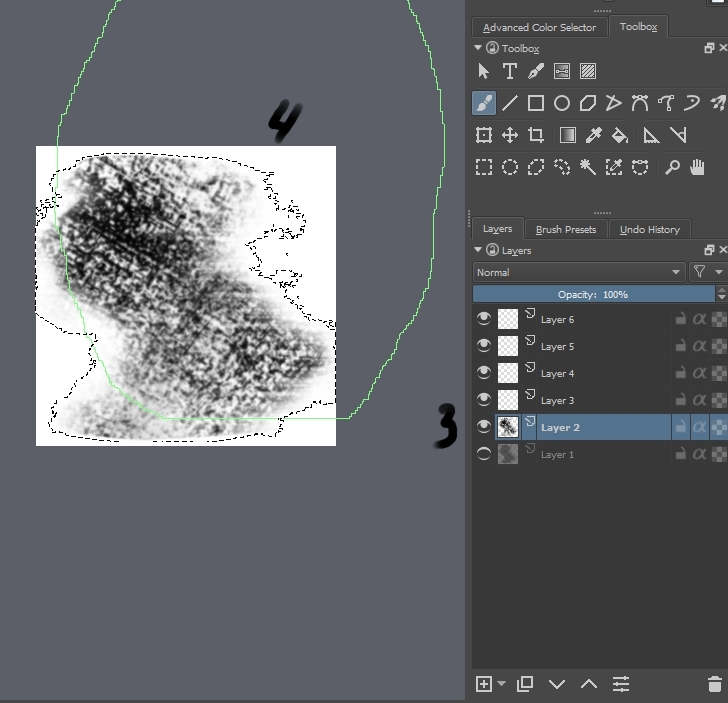 And usually, I found Krita sometimes bugs out when making animated brushes so I use gimp for that purpose. Good to know the process, time to fiddle more. I just tried some default tips and noticed one of them changes depending on pressure and then was like "holy ***t, ANIMATED TIPS" and after that I started to mess with it. Some time and experience and now I have brushes that I really like. It was an eye opener for me too. I discovered it with Wolthera's painting pack. 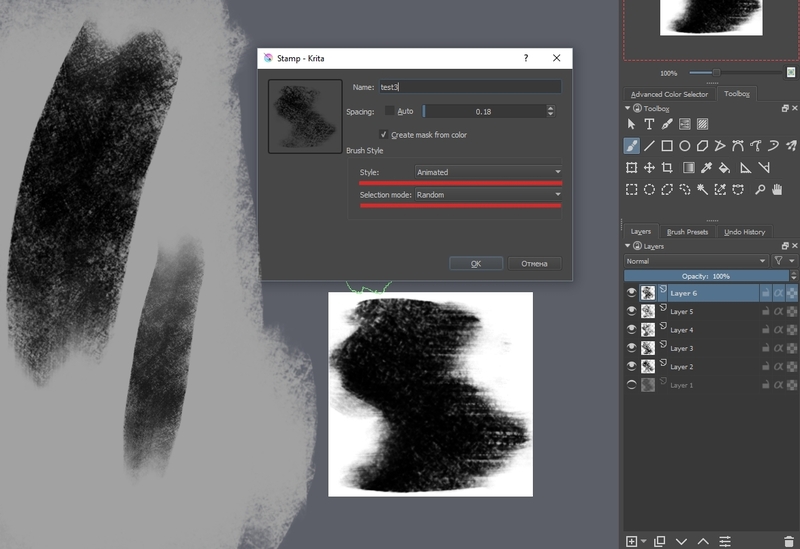 There are three particular animated brush tips in that pack (namely w_natural_brush_1.gih, w_natural_brush_2.gih, and w_natural_brush_3b.gih) and I was like "what sorcery is this?" They have been the go to bristle brushes for me ever since. You can check them, they are pretty great! And yeah, sure I will share what I make. It is possible to create a brush that simulates tiny water droplets? I've tried using the splatter and sponge brushes but they're too flat for the effect I want. If I play with the opacity of each layer can they have more depth with a play of light and shadow?